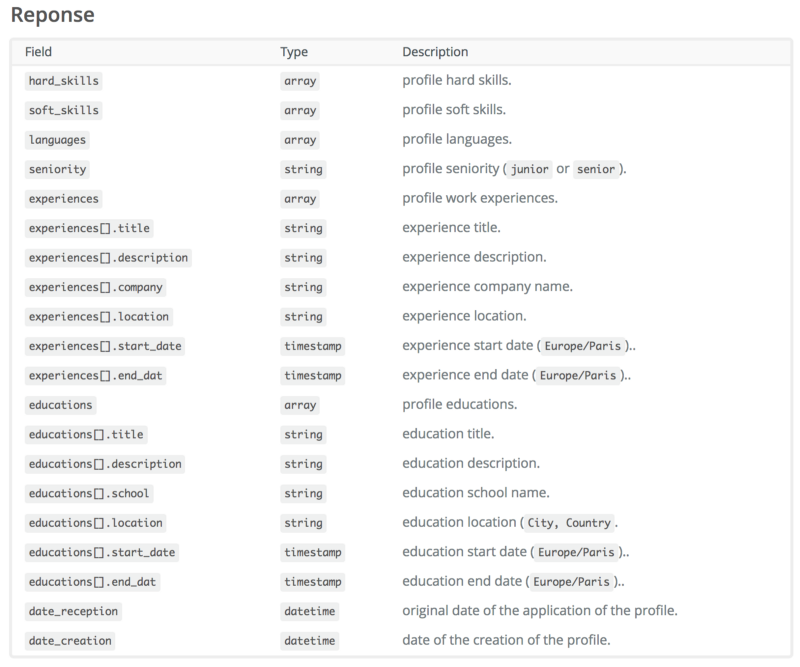 Building usable datasets for an AI based job matching tool. 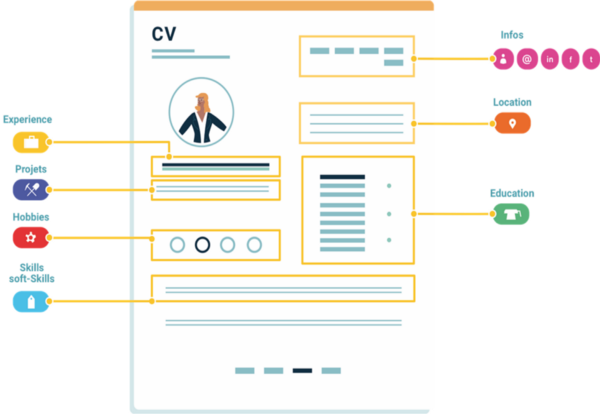 A resume parsing solution is a software that takes a resume as an input that can be in any media format (PDF, Word or image) or template, then convert it into a structured data format like — such as XML or JSON. Seems easy? but reality is hard! 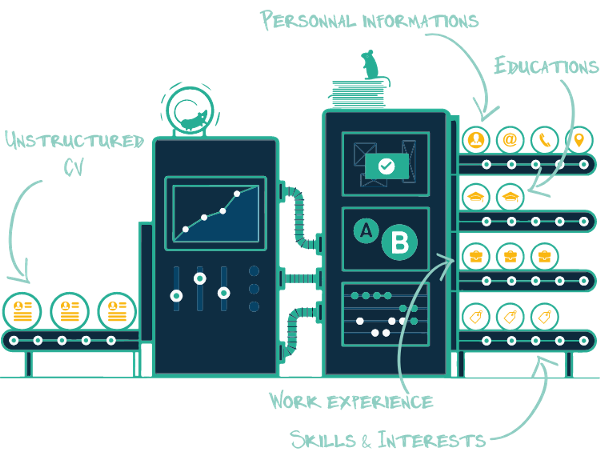 +1.4 Billion resumes are parsed every year. 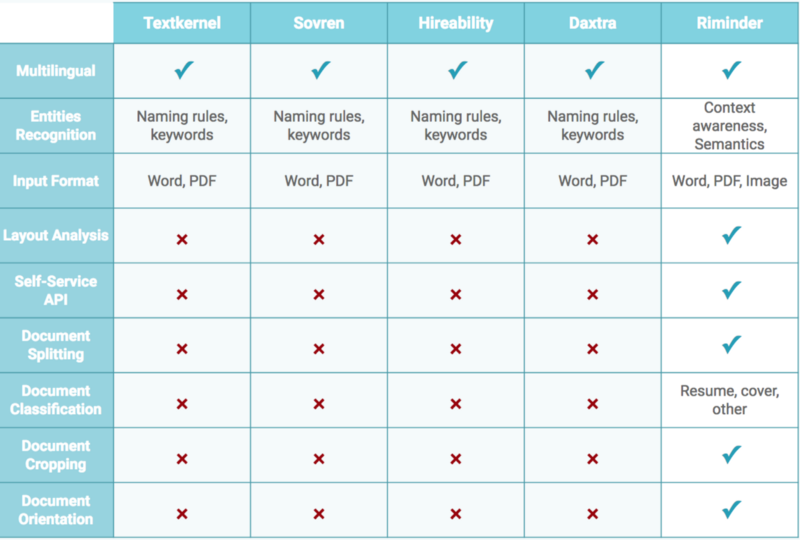 How Daxtra, Sovren, Hireability, Textkernel and Segmentr (by Riminder) are doing at this task? Building a general and reliable parser requiers many different blocks. If you are interested to know more about Segmentr, you can book us for demo : http://docs.riminder.net/segmentr .